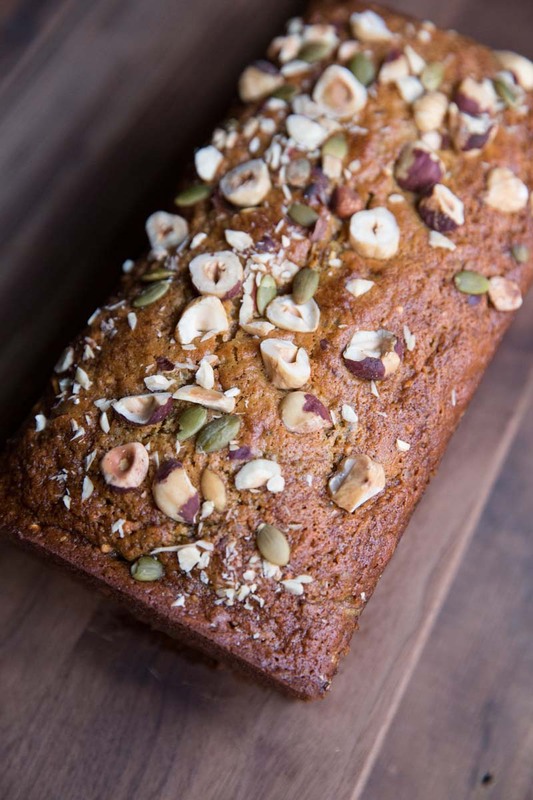 This squash bread has everything you could want in one little loaf. I packed in tons of seeds and nuts, mashed acorn squash and even a bit of shredded beet. As winter squash is still in season (see the full list of what’s in season this month here) I’ve been trying to make up some new uses for it. After baking the squash until it is a soft and smooth puree, it becomes perfect to use for bread. The flavor of the bread is nutty and sweet, similar to pumpkin or zucchini bread but with more texture and earthiness. 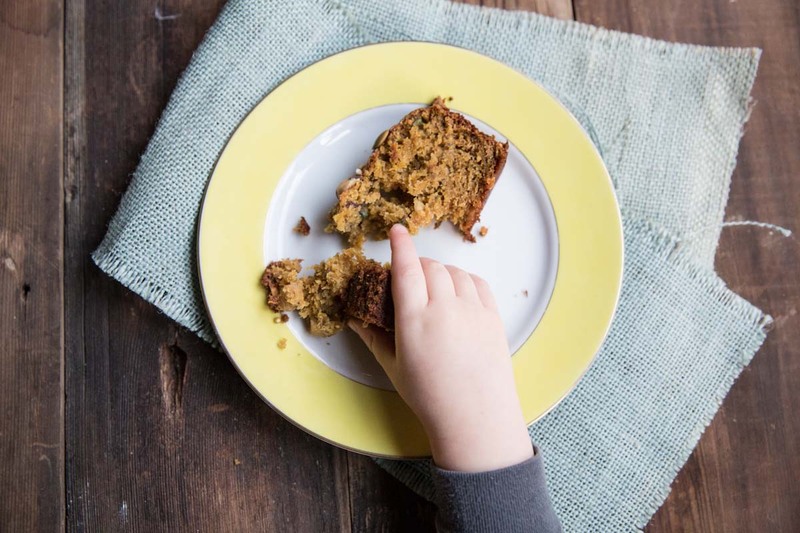 Its easy to love and even the little hands in your house will be grabbing for a slice! I got the idea for this bread after having something similar in a coffee shop in Seattle. Then I read an article about the different types of winter squash and how they naturally lean towards different recipes. The article mentioned that the nuttiness of acorn squash is actually great for baking breads! That was the start of my idea then of course I threw in some nuts and seeds for texture and some more veggies just because I had them on hand. The beets were a last minute addition. The first time I made the bread, I threw in shredded carrots but I didn’t have carrots around so I tried beets. Either one works but the beets lend to a more earthy flavor. The bread is not overly sweet, though sweet enough, with great texture and nutrition. It’s perfect for breakfast with coffee and juice or for a midday snack. Eating seasonally is great for so many reasons but I want to expand on just one reason today. Have you ever watched the Seinfeld about Mackinaw Peaches? Kramer gets crazy excited about the 2 week season but he looses his sense of taste during that period and completely misses his favorite taste of the year. We hardly even recognize the seasonality of fruits and vegetables anymore. Every produce item is available at our fingertips but then we lose out in the excitement of it all. Sure, there are healthy benefits to eating fresh and seasonally, and there are environmental benefits, seeing as your food doesn’t travel as far and trucks aren’t driving as far, but what about the simple fact of the joys of seasonality. Looking forward to fresh peaches in late summer or warm wintry foods with winter squash. Also, having meals surrounding these foods only a few times a year becomes something to anticipate. I must say, in not eating seasonally, we have all missed out on enjoying natural food rhythms. 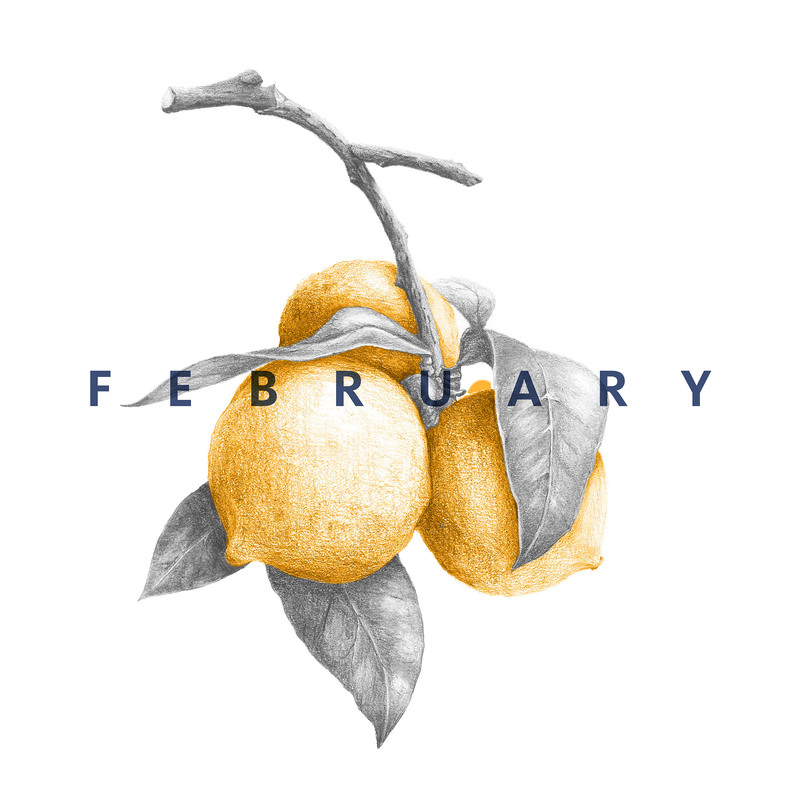 This year, every month, you’ll find a whole new set of seasonal foods and recipes. If you’ve been following my blog for a while, you know this isn’t anything new but if not, I hope you’ll make this something new in your routine. Many bloggers across the country are dedicated to eating seasonally and we’re sharing our recipes widely. 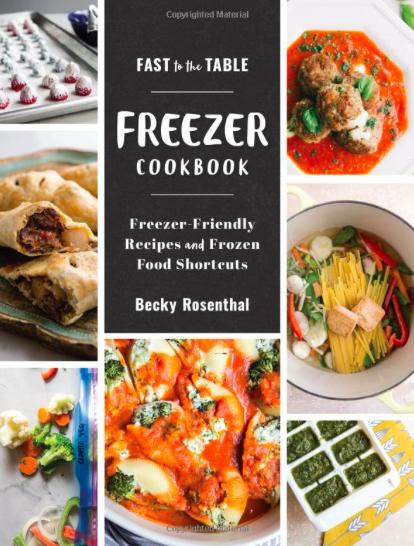 Maybe this year we can all find a few recipes that we make only once or twice a year, when it’s seasonally appropriate. These meals can become tradition, a part of our yearly rhythm, and something to look forward to! 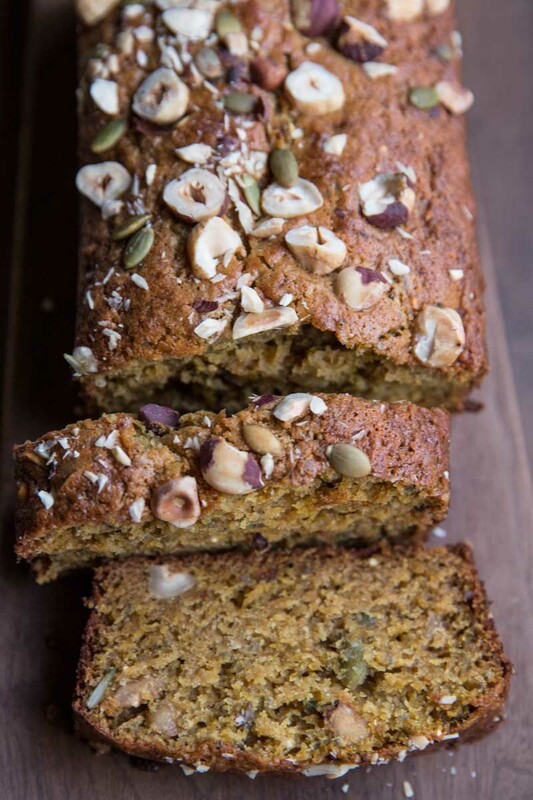 A healthy sweet bread made with pureed squash, and toasted seeds and nuts. Preheat oven to 375 degrees. Slice the squash in half lengthwise and remove the seeds and strongly flesh. Pour 1/3 cup of water onto a rimmed baking sheet and add the squash halves, cut side down. Roast for 35 minutes or until the squash is soft and can easily be removed from the skin. Preheat oven to 350 degrees and grease a standard loaf pan. Roughly chop the hazelnuts (or whatever nuts you're using) and place the nuts along with sunflower seeds and pumpkin seeds on a baking sheet. 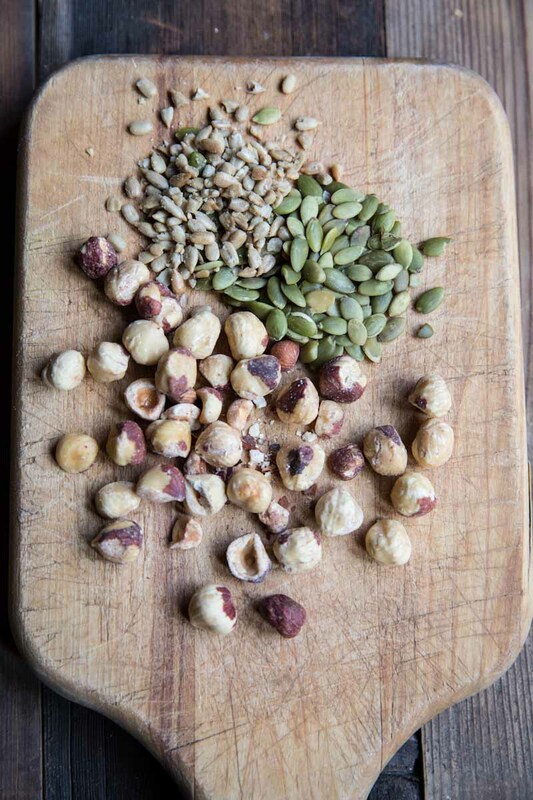 Once the oven is hot, roast the nuts for 8 minutes. In a medium bowl add all of the dry ingredients, flour to spices. Whisk to combine. In a stand mixer bowl, combine the sugar, maple syrup, oil, egg and squash. Slowly add in the dry in gradients to the wet, alternating with the 2 tablespoons of water. Then, stir in 3/4 of the toasted seeds, nuts, and quinoa. Fold in the shredded beets. Pour the batter into the prepared pan and bake for 45 minutes. If you'd like seeds and nuts on top of the bread sprinkle the reserved 1/4 of them on top 30 minutes into the baking time. acorn squash puree may be substituted with another squash puree or pumpkin puree (canned puree may also be used). seeds and nuts may also be interchanged. I love the way you put it Sarah! I couldn’t agree more. 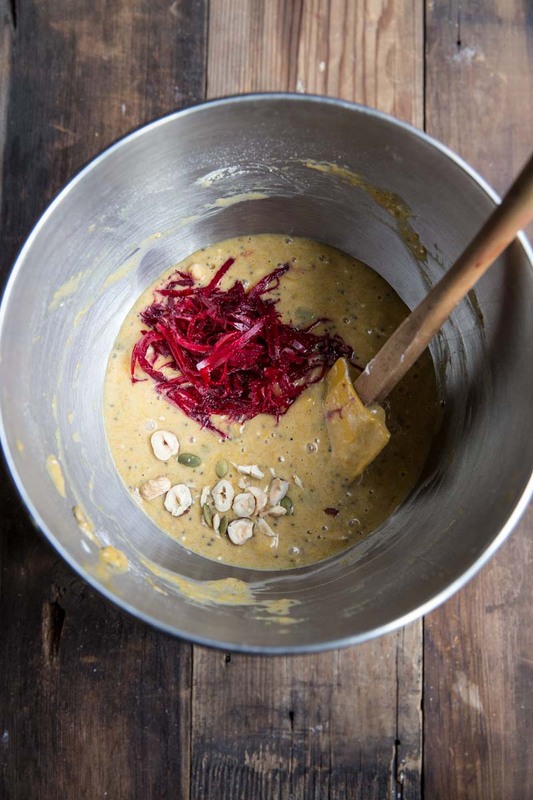 Winter baking can be so rejuvenating! I’m all about pumpkin bread but never tried baking with acorn squash. Love this idea, and all of the seedy goodness on top! This is a beautiful bread, Becky! And I can so relate to your words about seasonal eating. My family owns a wholesale produce distribution business and the customers get very cranky when, for example, they can’t get peaches in February (or in actuality they can get them but they are crazy expensive). They don’t even know or appreciate what is seasonal anymore. Kind of sad. And definitely takes away from the pure bliss of enjoying something in the moment. I love how you switched up the usual pumpkin bread for acorn squash. I have an acorn squash on the counter and will be making this bread this weekend! Wow, just made this and it was amazing! The cardamom definitely adds a wonderful accent. I will definitely be making this again. Thanks for the recipe! Carol, so glad you liked it!! Thanks so much for reporting back and have a lovely day! This looks awesome! I’m going to try to make it tonight. What speed did you use on the stand mixer when adding the dry ingredients to the wet? Thank you! Low or Medium Low would be fine and just until they’re incorporated. Enjoy! Was the quinoa cooked when you used it? I’m so glad you caught that Flavia! No I just used uncooked quinoa to give a little crunch but it also cooks a little as the bread bakes. Just made this today. Turned out very tasty. I did modify as following: I used 1/2 cup almond flour and 3/4 cup whole wheat flour. 1/4 cup brown sugar, instead of 1/2 cup, and 1/2 cup of homemade apple sauce in lieu of the 1/4 cup maple syrup and 1/4 cup oil. Added almonds and pumpkin seeds, pumpkin spice and cinnamon powder, since I didn’t have all the nuts, seeds, and spices actually called for in the recipe. Still turned out very moist and very tasty. This one is a keeper. I forgot to add the shredded carrot/beet. Still came out pretty good! The quinoa came out a bit crunchy, but all in all I think it tastes pretty good! Thats great! Glad it worked out. I think the shredded veggies would make it more moist if you try it again! Thanks for leaving a comment! 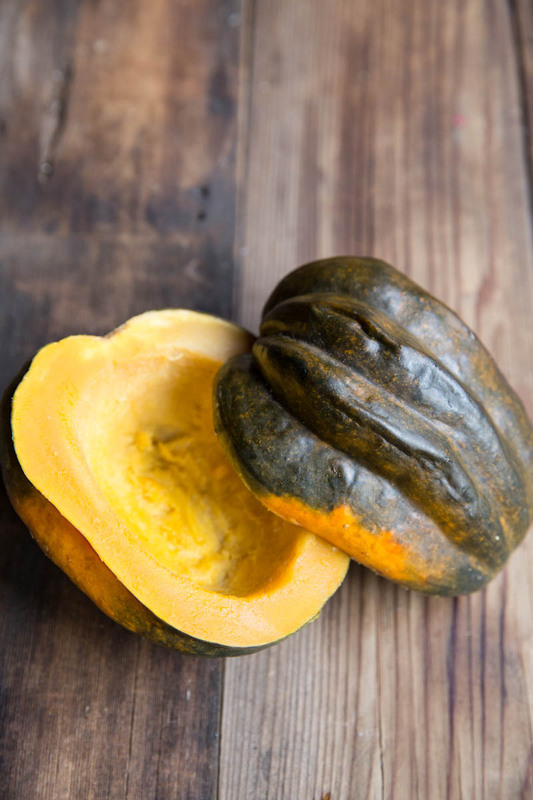 I am curious to know if you have thought about roasting and using the seeds from the squash. I see the Pumpkin seeds and since they are so similar is why the idea came to mind. Yes you certainly can! I have done it a few times. 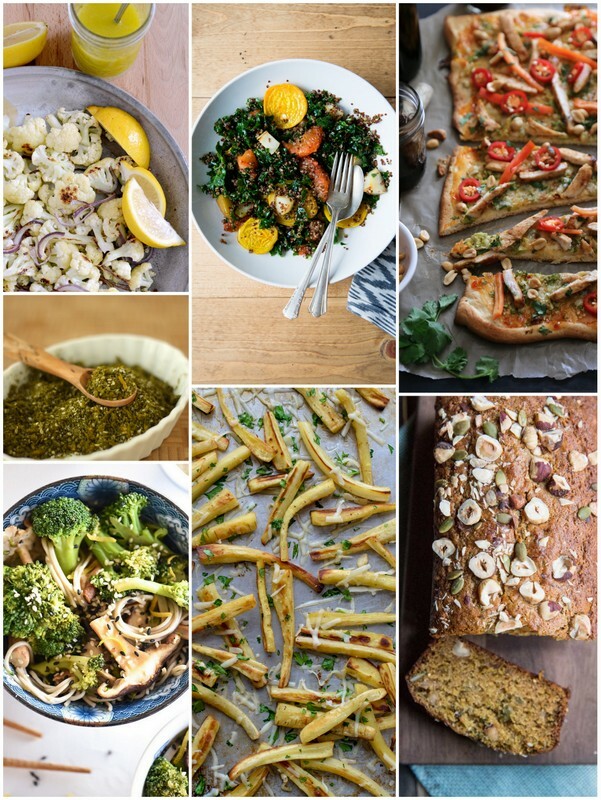 Same recipes as you would use for pumpkin seeds! If you want to use them on top of this bread make sure and dry them out completely first. Fantastic loaf! What started out as a search for a banana bread recipe ended here, as I realized I only had one banana, but many homegrown acorn squash. So I followed your recipe, except for adding the ripe banana in place of some of the squash, and adding about 1/4 C raisins. Yum!!! awesome Wendy!! Thanks for reporting back! Happy holidays!